The typical materials encountered are either “Unit Pieces” or Bulk Solids. • Unit Pieces: These are whole solids that are a complete entity and are not compressible. Examples are steel castings, bolts, fasteners, filled bags, metal stampings, briquettes, or wooden logs. Virtually all “Unit Pieces” are essentially Free Flowing even if their size and moisture content markedly changes. Therefore, any “Induced Vertical Flow” is not needed, and they convey very well with vibration. • Bulk Solids: This kind of material is composed of “particles”. 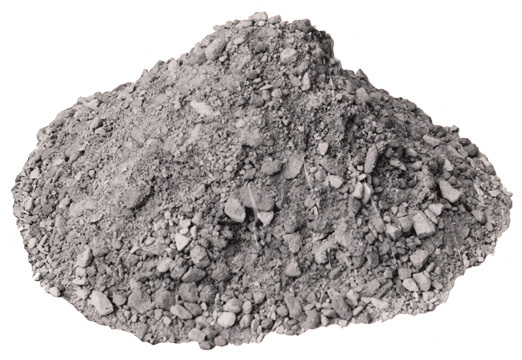 Even though there are a myriad number of different kinds of bulk solids, they can be classified into three groups to better understand their handling characteristics. Their common characteristics must be combined with any potential for “Set” or consolidation, which is also listed. Flakes: This material has flat shaped particles or strands that are usually fibrous that will compress. Wood bark, shavings, or chips are examples. Others are glass fibers, polystyrene film, refuse derived fuel (RDF), bagasse, shredded rubber tires, metal turnings, brass needles, stranded insulation, shredded tobacco, sander dust, polypropylene flakes, glass fibers, whole green beans, long chili peppers, tea leaves, bran, peanut shells, or the like. As “Flake” type particles become larger in size, higher in moisture content, or more easy to compress, they usually increase in difficulty to discharge from storage or to convey with vibration. Floodable: These particles are very fine and dry. They easily aerate so they are said to be “Floodable”. The name calls attention to their being able to flow uncontrolled unless precautionary measures are taken. A particle size smaller than 100 mesh and less than 2% moisture content more specifically describes this kind of bulk solid. Hydrated lime, fly ash, kaolin clay, pesticides, virtually all the different “dusts” from collectors, acetylene black, carbon black, stucco, bentonite, talcum powder, diatomaceous earth, cement, ink dyes, powdered milk, dextrose, powdered sugar, or anything similar exemplify bulk solids that are Floodable. As a “Floodable” bulk solid becomes more fine and dry, it is much more difficult to discharge from storage or to convey with vibration. Generally Granular: These bulk solids are those that do not qualify as being either Flake or Floodable. The particles are typically granular in texture and often have firm and hard lumps in their size distribution. Coal, limestone, gypsum, sawdust, bottom ash, rice, grits, salt, bone meal, corn gluten, soybean meal, granulated sugar, fertilizer beads such as urea, molding sands, and potash denote the Generally Granular classification of bulk solids. Any degree of “Set” or Consolidation of any of these bulk solids should be noted. This is the fusion or the sticking together of the solidified, stored particles when they spend time in dormant storage. After about 12 hours, “set” begins to solidify the stored particles. This bonding normally increases over the next 24 to 48 hours and the solidification becomes formidable. After that time, it still solidifies but at a slower rate. Examples would be the waste type coals, such as silt, culm and gob, sodium chlorate, fly ash, spent grain, or freshly ground soybean meal. Also, many Generally Granular particles that have a high degree of fines will also have a high degree of “Set”. 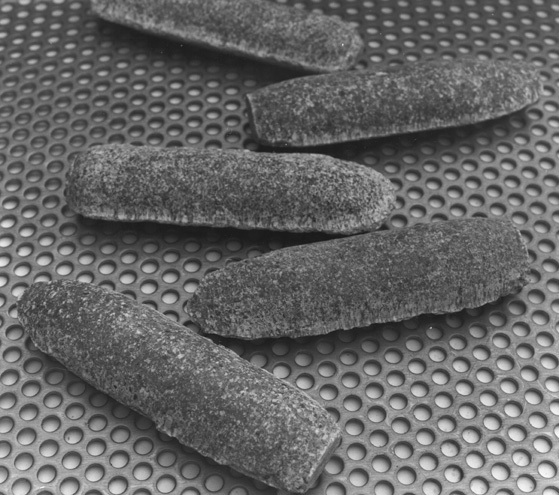 Another would be particles that are hot when placed in storage and agglomerate as they cool such as storing freshly ground soybean meal. The benefit of “Induced Vertical Flow” is it can be applied when “Impelled Retrieving” cannot be justified and the bulk solid to be stored is beyond the practical limits of “Static Design” technology. The generated vibratory action markedly reduces any stored material’s inter-particle friction, combined particle shear strength, and wall friction. Very high vibratory forces can “shatter” set and “unlock” interwoven and interlocked Flake type particles. Therefore, the stored material vertically flows from the storage means, such as a Container, Bin, Silo, Storage Pile, or Rail Car, in conjunction with the force of gravity. Since these machines need to be operated in a manner that agrees with the stored material’s “natural” vertical flow pattern, they should not have any other function such as feeding. This permits them to be “cycle type” operated whenever it is required to do so. Bin Activators, Activated Bins, Container Activators (which includes resilient bags), Storage Pile Dischargers, and Rail Car Dischargers make up this group of machines. 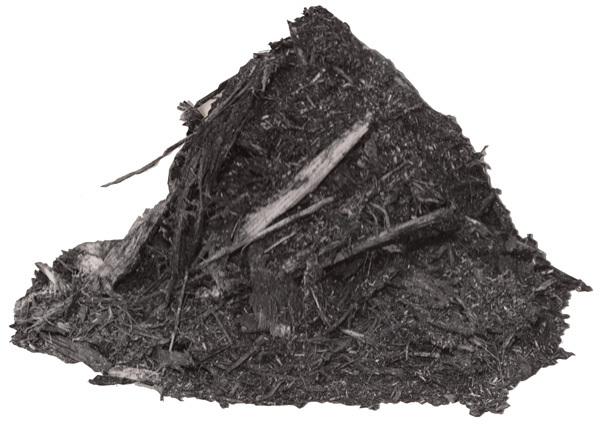 Virtually all the “Flake” type of bulk solids (like wood chips) can be Densified to increase their loaded weight by 15 to 30 percent. “Floodable” powder like particles (such as flour) can be increased in loaded weight by 20 to 35 percent. “Generally Granular” particles and lumps that have a density of less than 50 PCF (such as bran) will readily increase in loaded weight by 15 to 30 percent. For density of more than 50 PCF, the increase will probably be 12 to 20 percent. Vibrating Tables, Vertical Faces, and Rail Car Densifiers are available for this purpose. A benefit of “Induced Conveying” is the vibratory stroke can “shatter” fused “set” when started up. Also, “sticky” (adhesive) materials can be conveyed by combining the use of an appropriate trough liner, supplementing the needed conveying action with an automatic, repetitive “pulsing” that has a momentary more vigorous vibratory action, and conveying it as slowly as practical with a much more deep mat depth to achieve the needed TPH required. 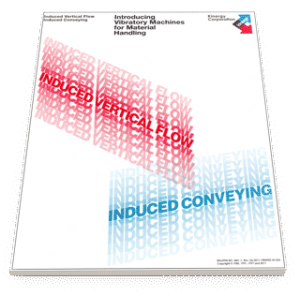 The “Induced Conveying” kind of vibratory machines include Vibrating Feeders, Conveyors, Screens, Fluidized Bed Heat Transferring, and the like. For more information about the handling characteristics of bulk solids, please contact Kinergy at 502.366.5685 to request a mailed copy of Technical Paper IVF-BINS & SILOS entitled “The ‘Induced Vertical Flow’ of Bins and Silos”. Kinergy engineers are committed to solving even the most problematic material handling dilemmas. Contact us today at 502.366.5685 or through our online quote form. Provide us with your bulk solid needs and we’ll work to find an energy-efficient and cost-effective solution.